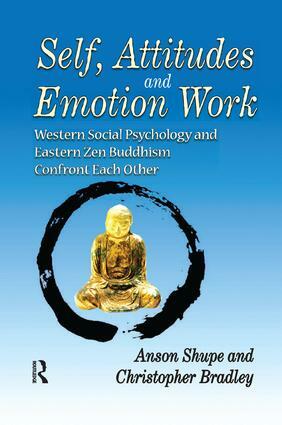 This book is about how Western social psychology interfaces with an Eastern Zen Buddhist perspective. It is neither a purely Zen Buddhist critique of the former, nor is it merely a social psychological interpretation of Zen. Rather, it is an attempt to create common ground between each through the systematic comparison of certain shared fundamental concepts and ideas. Anglo-American social psychology is not much more than a century old despite having its roots in a broad philosophical tradition. Alternately, the Zen version of Buddhism can trace its historical origins to roughly 1,500 years ago in China. Even though the two arose at different times and at first glance appear stridently antithetical, the authors show that they share considerable areas of overlap. The logic of Zen contemplates the consequences of the taken-for-granted tyranny created by personal memories and culture. These traits, common to every culture, include hubris, greed, self-centeredness, distrust, prejudice, hatred, fear, anxiety, and violence. Social psychology leans more toward a "nurture" rather than "nature" explanation for behavior. Both areas of research are firmly rooted within the domain of sociological social psychology; the processes are also sometimes referred to as learning or conditioning. Zen challenges in radical terms key assumptions of both sociology and psychology concerning individual identity, human nature, and human motivation. This stimulating volume will provoke new thoughts about an old tradition and a newer area of scholarly work. Attitudes and Emotions … From Where?